Every year as the colder weather approaches, articles about car seat safety for children start doing the rounds. The importance of wearing the right clothing in a car seat is magnified tenfold, because the winter months mean coats get worn in the car by most. Browsing and choosing the right car seat for your car and spending above the odds for it is a rite of passage for a parent. While it’s never nice to have the kids cold in the car, compromising their safety is not worth it. A few moments of being chilly as they get from house to car and under a blanket is far better than risking your car being in an accident and having the children fly out of their seat because they are wearing a padded coat. 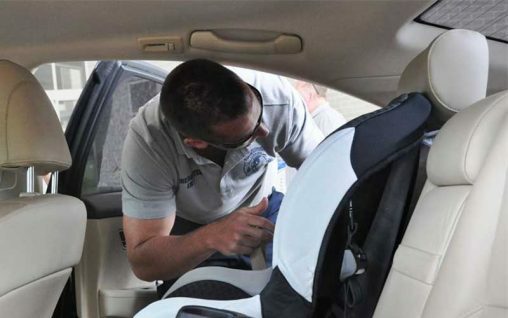 You can read about car seat safety risks in this article, so you can make the right safety choices for your children. You need to be on the ball with car safety when you purchase your car, but if you are unfamiliar about what makes a safe car for the whole family, you have your work cut out for you. Researching a new car can take some time, and you have to look into the right model that works for the whole gang. Browsing all the car options out there can be overwhelming, and it can be very tempting to invest in a car with all the gadgets and technology you can find. It’s important to remember that it’s safety first, gadgets second – even though some of the best car gadgets out there are all about car safety! It’s never nice to think about the worst that could possibly happen when you’re out driving with the whole family, but if you have already taken the time to ensure that your car has all the right safety features, you can make all the difference in an accident. The good news? We live in a world where technology has met the motor industry, and cars are now safer than ever before. Manufacturers across the board are investing in new technology and developing new safety technology all the time. These are developing to avoid accidents altogether, not just prevent them from happening to most. So much of the new technology we are seeing in cars today is being included as a standard feature, but the technology that you get with your new car can vary from brand to brand. When you want to choose a car to buy or to lease, you need to consider the safety ratings of the manufacturer and the model of the car itself. Safe cars have to pass a huge number of tests to help you to avoid collision due to car fault. If you ever find yourself in an accident with a car that has been marked as safe and subsequently wasn’t, then, getting the right advice from your insurance and companies like Denena Points is important. You need to know your rights as a consumer and as a victim of a collision that wasn’t your fault, and sometimes the reason for an accident isn’t because of you. New cars that are being advertised tend to have the latest and the greatest in safety features and gadgets, but used cars for sale can be just as safe. A car that has been on the road for some time can often be more reliable than a brand new model, even without all the bells and whistles that a brand new model possesses. Two things that can really help you to determine whether a vehicle is safe and reliable are both the crash test ratings and the recall process of the car. Crash tests are an important part of the safety test process, and they can also help you to simplify the process when you choose a new car. 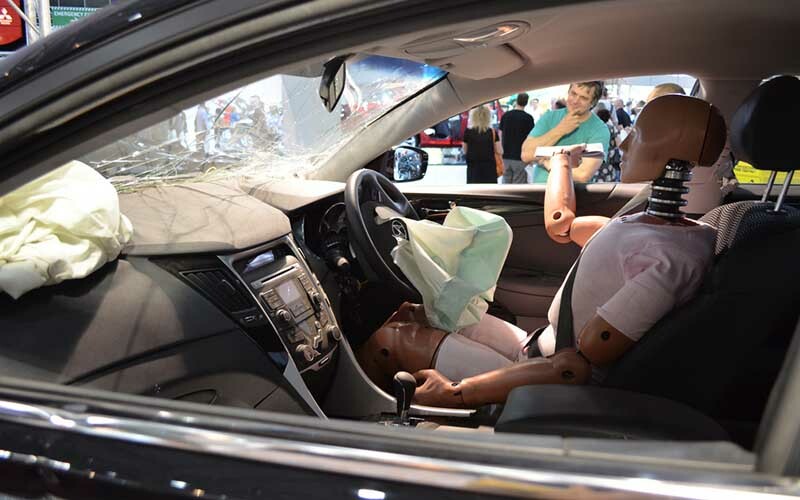 Crash tests don’t just determine whether air bags are in the right place or whether the car can protect the passengers in the vehicle collision, but they can also tell you what car seats you should be buying, how the weight of the passenger affects how they respond in a crash and what type of crash the car can withstand. Safety tests for cars vary, but they include testing the vehicle on how it handles various road conditions. It’s all well and good to buy gadgets to help your car sense whether it is too close to walls, cars or bollards, but if your car can’t handle itself on certain terrains those sensors won’t matter much! When you are researching a particular car model or brand, you need to check out whether there have been any safety recalls of the model and how long ago those recalls were. Too many people go out and buy a car without looking into the model and whether it’s a reliable one. You can search for recalls on this website here and learn whether the car you’ve been eyeing up is one you can really rely on. Buying a car that is safe is important, and it doesn’t matter whether the one you want is new or used, as long as it’s been tested for safety. If you are in a crash, you’ll find that different cars offer a very different level of safety depending on the model and brand. You need a car with a strong cabin, so that it can withstand severe impacts. You need a car with the right restraints that are worn correctly by both the driver and the passengers. You also need a car with a clean history, so that you can be secure in the knowledge that there haven’t been any huge collisions previously. Thinking about your safety before thinking about the safety gadgets you can add to the car later will make a difference as to whether your car is looked over properly. You need to be well-educated on car safety before you purchase, so get your geek on and start researching!